Predicting the company's future has never been trickier than today. In the age of accelerating changes, even the most comprehensive annual reports could be misleading and cannot serve their purpose. We can make predictions more reliable by understanding the difference between risk and uncertainty. Companies that are able to make this distinction usually perform better than others. In practical terms, they are more capable of narrowing the gap between plans and reality and can tolerate uncertainty with greater ease. 'Risk means that the probabilities are known. 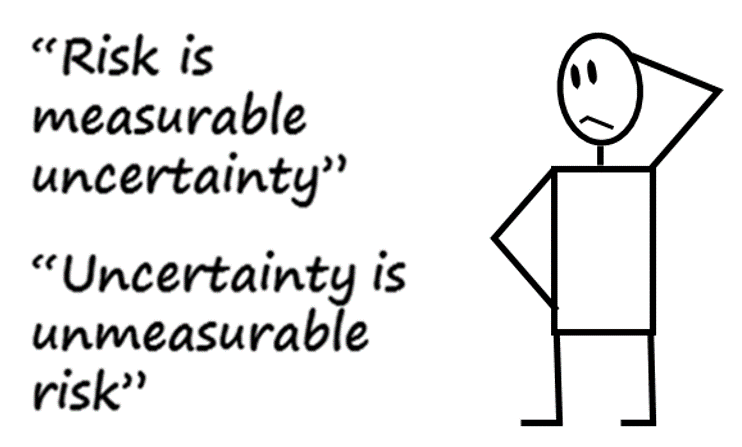 Uncertainty means that the probabilities are unknown. Even if we learn how to differentiate between risk and uncertainty we still need to transform this understanding into practical decisions. To do that, we need to acknowledge the existence of self-induced uncertainties and learn how to 'read' them. Operational disruptions could be a good starting point as a measure of airline ability to cope with unknown. Being able to grasp even a bit of this knowledge can sometimes make the difference between business survival and demise. This is at the core of my work.